On May 23, the Brazilian newspaper Folha de S.Paulo published the transcripts of a conversation between Romero Jucá, Planning Minister in Temer’s interim government, and Sergio Machado, former Senator and President of Transpetro, another Brazilian state-owned oil company. This conversation – and other records leaked since then – were recorded in March, before the first vote of the impeachment process that took place in the Chamber of Deputies. In this conversation, Jucá talked about a “national pact” to impeach Dilma and stop the investigations of the corruption scheme. This included justices of the Supreme Court, the compliance of the military forces and the pacts amongst the opposition forces in Congress. These clandestine arrangements were formed in complete disregard for the political will expressed by the majority of Brazilians at the ballot box. According to Jucá, important members of Partido da Social Democracia Brasileira (the Brazilian Social Democratic Party; PSDB), the center-right party that lost the last four presidential elections in Brazil, were aware that Dilma’s removal was an imperative to stop the “bleeding” brought on by Lava Jato. When asked what he meant by “bleeding”, Jucá said that he was referring to the economic effects of Operation Carwash. Interestingly, he never mentioned the economic situation in Brazil in this conversation. In fact, the dialogue begins with Machado speaking about the risk that plea bargaining deals would become more frequent, which could implicate even more politicians and their close allies. “I’m talking to the generals, the military commanders. They are fine with this, they said they will guarantee it”. Temer’s short-lived Planning Minister also affirmed that the military is “monitoring the Landless Workers Movement”, one of the largest Brazilian popular movements that has been at the forefront of protests against the impeachment process. Jucá also has claimed that he had access to a “small number” of the Supreme Court Justices, and that he discussed the extent of the investigations with them. According to Jucá, the justices told him that the corruption investigation – and the popular and media pressure for it to continue – would not stop as long as Rousseff remained in power. Another two audio leaks, published by Folha, from Renan Calheiros and José Sarney – both had been speaking with Machado, who recorded the conversations – reveal that the plans to stop the investigations of Operation Carwash were in the works for a long time now. José Sarney, former Brazilian President who now holds a seat in the Brazilian Senate, confided to Machado that key figures of the opposition were reluctant about the idea of a transition government headed by Michel Temer. Renan Calheiros, the President of the Brazilian Senate and former close ally of Dilma Rousseff’s government, also expressed his concerns on the plea-bargaining deals in Operation Carwash. In his conversation with Sergio Machado, Calheiros said that he supported changes in the laws that regulate plea bargaining deals in order to prevent someone who had already been incarcerated from becoming an informer, which is one of the main procedures used by Operation Carwash’s prosecutors for obtaining information on the corruption scheme. This change would benefit many politicians involved in the scandal. Most recently, Sergio Machado leaked his conversations with Fabiano Silveira, former counselor of the Conselho Nacional de Justiça (National Justice Council; CNJ), which is responsible for supervising the Judiciary, and newly appointed Minister of Transparency, Superintendence and Control in Temer’s government. In this audio, Silveira criticizes Operation Carwash and guides Renan Calheiros on how he should prepare his defense for the charges of corruption. The Minister of Transparency has supposedly also sought members of the Lava Jato task force to request information on the investigation involving Calheiros. These statements alone are serious indications that what is taking place in Brazil is a coup with the purpose of stopping the corruption investigations in the country. Also, one is witnessing a blatant attempt to implement a political project that has been repeatedly defeated in democratic elections since 2002 (recent polls also show high rejection rates for Temer’s government), and there are many other indications that the ouster of Dilma was, in fact, a political plot. This report and the content of the leaked conversations show that Dilma’s impeachment is the result of a carefully planned and executed plot to benefit a small political group threatened by Operation Carwash. Temer and his closest allies played an important role in this scheme. Moreover, the nomination of his cabinet also reflects how the impeachment process was likely motivated in order to stop the anti-corruption investigations: a third of Temer’s ministers are either under investigation or being charged for corruption or bribery; the leader of Temer’s government in the lower house of Congress is under investigation for homicide; and Temer himself was found guilty last May of mismanagement of his campaign budget, and deemed ineligible to run for office for eight years. Evasion of corruption charges is not the only motivation behind the impeachment show put on by the various pacts besides the obvious involvement of many of Temer’s ministers in corruption schemes and other crimes. The choosing of those politicians makes it clear that their target is to impose a political agenda that has been repeatedly rejected by the Brazilian people on the ballot box. The leaked audios with compromised conversations signal a political motivation different from the allegedly legal argument presented to the Brazilian Congress for the impeachment. Together with a speedy process of reversing social, economic and cultural policies of the Dilma administration, these are clear signs that what took place in Brazil was an illegal alteration of the constitutional order – and not the result of a democratic process. The audios are hard proof that the political elite behind Dilma Rousseff’s impeachment perceived that removing her from office was the only way to keep themselves from being held accountable for their illegal deeds, and to maintain their profitable scheme of corruption. They demonstrate what impeachment opponents have been saying from the beginning: rather than to “clean” the Brazilian government of corruption, the oust of Dilma was the only way to guarantee that those under investigation would be shielded. 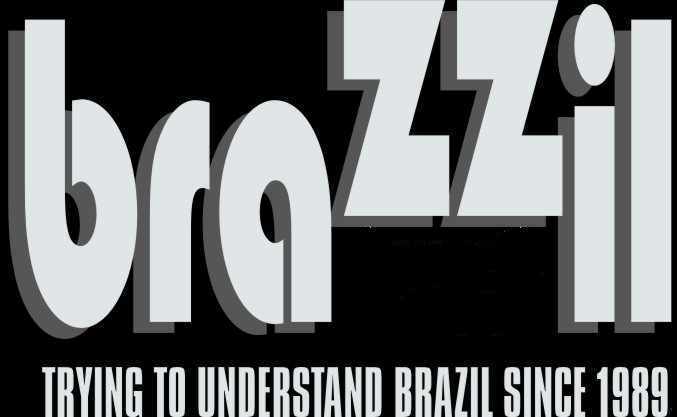 “Understanding the Petrobras Scandal.” COHA. 2016. Accessed May 31, 2016. http://www.coha.org/understanding-the-petrobras-scandal/. “Folha De S.Paulo.” Jucá Não Falou Sobre Economia Ao Citar ‘sangria’; Ouça. Accessed June 01, 2016. http://www1.folha.uol.com.br/poder/2016/05/1774182-juca-nao-falou-sobre-economia-ao-citar-sangria-ouca.shtml. Aline C. Piva is a research fellow at the Council on Hemispheric Affairs (COHA) – www.coha.org. The organization is a think tank established in 1975 to discuss and promote inter-American relationship. Email: coha@coha.org.